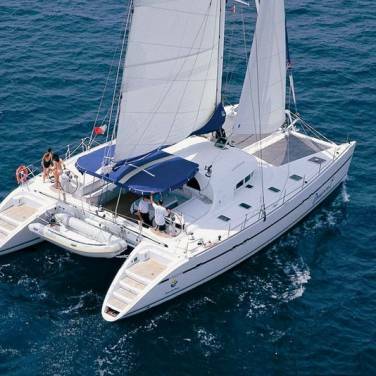 Gulet Aborda is a lovely cruising yacht available for rent and cruises in Croatia. 30 meters long, Aborda boasts lovely interior spaces as well as vast exterior areas, offering high-quality furniture and all the required amenities for a cozy and enjoyable sailing holiday in Croatia. 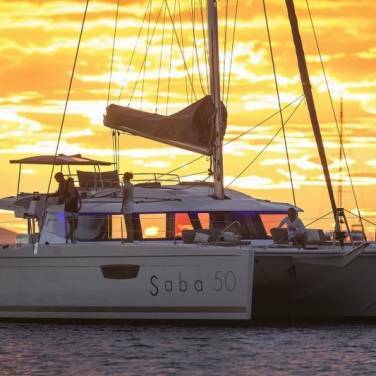 Completely refurbished, Aborda accommodates up to 14 guests in 4 double and 3 twin cabins, each one with en suite facilities and air conditioning. The interior salon contains a big dining table ideal for socializing with family and friends, a comfortable sitting area, TV, DVD player, CD and Wi-Fi, while the outdoor decks are perfect for sunbathing and other leisure activities such as fishing, snorkeling, waterskiing and kayaking. 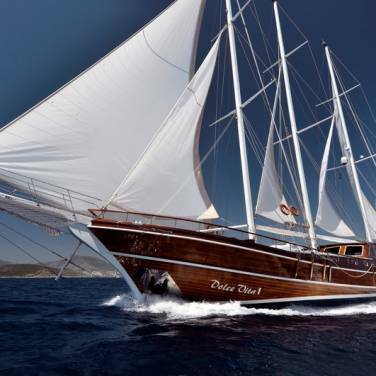 Besides a standard sailing itinerary, cruising aboard a stunning gulet like this one gives you the possibility to enjoy many different complementary programs such as fishing competitions, wine tasting sessions, cruising through uninhabited areas and national parks, scuba diving cruises, overcoming the basic sailing skills, biking tours, triathlon competitions or visiting lighthouses. Suitable also for corporate cruises, gulet Aborda provides a very professional and peaceful atmosphere, contrasting with the superb beauty of the Adriatic. The crew on board is very carefully selected and is made up of 4 members, each one contributing to making your gulet cruise as pleasant as possible. Chartering a gulet like this one, you will be given the opportunity to live the Adriatic in a completely different way by discovering many enticing summer destinations including those that are usually not easily accessible. Cruise the Adriatic coast at your leisure, explore its vibrant culture, discover authentic Mediterranean flavors and get ready for the cruising experience of a lifetime.